Located on the East side of Lake Weir, our lovely home captures the best sunset views on the lake and memorable photograph moments. 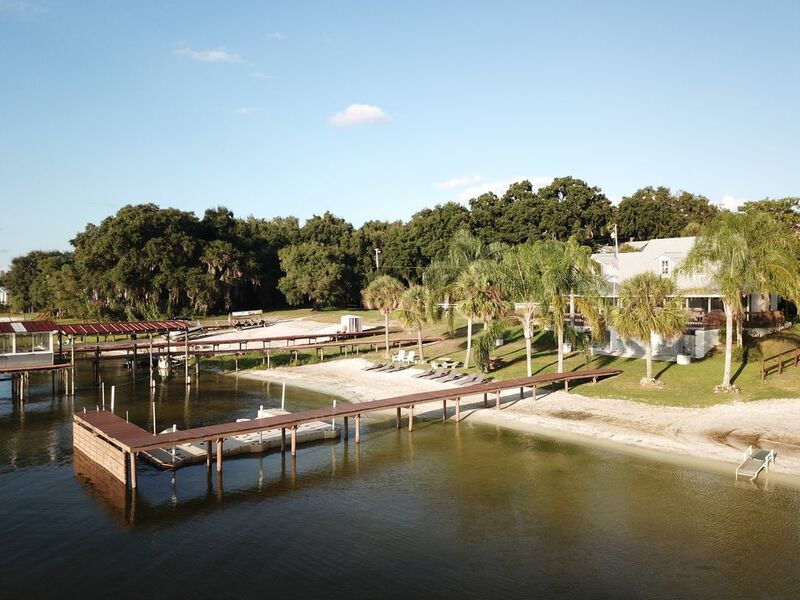 Enjoy your vacation at our exclusive lake front home (6,500 acre crystal clear lake with white sand beach) Near the Ocala National Forest and the Oklawaha River. Very close to The Villages of Lady Lake. Bring your Jetski, Boat, Watercraft, or Fishing poles to have some fun! Enjoy the most breath-taking sunsets from your living room, back decks/dock, or beach. We provide almost everything that is needed for your stay; including books, games, tapes, DVDs, pool table, and foosball table. We guarantee your vacation here will be most joyful & unforgettable. We are a family of four. Two twin brothers helping their parents manage several family properties in Florida, California, Texas, Arizona, and North Carolina. We love taking care of our guests as best as we can. Welcome to our lakefront home facing west towards for some truly memorable sunsets over the water. We hope you enjoy your stay along with your loved ones. This is the only lake in the area to be sand-bottom. It is safe to swim in because it slowly drops, and if you don't know how to swim, your feet can be your 'GPS' as you feel the bottom of the lake. All activities are right on the sandy beach and sand-bottom lake. From the living room to the water is about 20 foot steps. You can see your family playing on the beach from the kitchen window. You can watch TV in the living room and countdown to sunset. The upstairs balcony and the game room also have a good view of the lake. Sit in our screened-in porch, looking out to the lake with a cup of coffee. Forget about the whole world for awhile and get the relaxation you and your family deserve. Towels, cloths, and toilet paper provided for.